During WWDC 2015, Apple announced a lot of new stuff such as the upcoming iOS 9, WatchOS 2, OS X 10.11 El Capitan and Apple Music. However, people from the UK were waiting to see if Apply Pay is coming to their country soon or not. According to Apple, their contactless mobile payment system and app-based purchasing system will be available in UK next month. 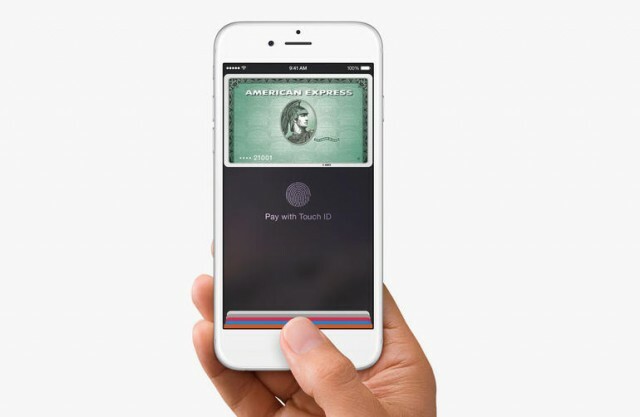 Apple Pay can be used with iPhone, iPhone 6 Plus and Apple Watch. Apply Pay can also be used to make in-app purchases, which we’re pretty sure that a lot of people who are use to playing games on their smartphone will enjoy this feature. In this case, Apple Pay will work on iPad Air 2, iPad Mini 3, iPhone 6 and iPhone 6 Plus. In order to make contactless payments, Apple Pay is transmitting secure tokens over the NFC chip that is found in iPhone 6, iPhone 6 Plus and Apple Watch. On the iPhone 6 and iPhone 6 Plus, users will need to use the Touch ID feature to make payments and on the Apple Watch, the users will authenticate their purchases when the Watch is initially strapped to their wrist. Apple Pay was released in the US on October 2014, people there are enjoying making payments using Apple Pay via their iPhone 6 device. We’re pretty sure that UK citizens are excited at the thought of Apple Pay finally being released to their country, but they will need to wait one more month. However, due to the regional regulations and partnerships, there might be some differences. So, here is everything that you should know about Apple Pay in the UK. When Apple Pay will be released to the UK? Apple didn’t specify an official date for their Apple Pay system release in the UK, but they’ve assured fans that it will be released in July 2015. We’re not sure if this will happen at the beginning of the month, in the middle of it or at the end of it. However, if you live in the UK, there is a big chance that you will be able to use this payment system from July 31, 2015. The banks that will support Apply Pay in the UK will come in two waves. The initial wave will support Apple Pay right after its released and it will include the following banks: HSBC, NatWest, First Direct, Royal Bank of Scotland, Nationwide Building Society, Ulster Bank and Santander. The second wave of banks that will support Apple Play in the UK will come this fall. We don’t know an exact date, but Apple will most likely announce this in the upcoming weeks. The banks that will be in the second wave are: TSB Bank, Bank of Scotland, M&S Bank, Coutts, Halifax, Lloyds Bank and MBNA. It is quite strange that the Barclays is not among these banks, but as soon as Apple announced the supporting banks during WWDC 2015, Barclays tweeted that they are still in talks with Apple about how their customers will be able to use Apple Pay and that these talks remained constructive. In other words, we’re pretty sure that soon enough, Barclays Bank will also support Apple Pay. However, that was not expected, since Barclays Bank has one of the best mobile baking applications on iOS. What credit cards will work with Apple Pay in the UK? When Apple Pay is released in the UK, the following cards that will be supported for this payment service will be: MasterCard, Visa Europe, American Express credit and debit cards. It is good to know that starting from this fall, the Discover cards will be supported as well. What Retailers will support Apple Pay in the UK? When Apple Pay is released in the UK, the service will be available in over 250,000 retail locations. In words, that’s about 20 percent more locations than Apple Pay had when it was released in the US. Currently, in the US, Apple Pay has over 1 million retail locations, and we’re pretty sure that there will be more retail locations in the UK shortly after the release. 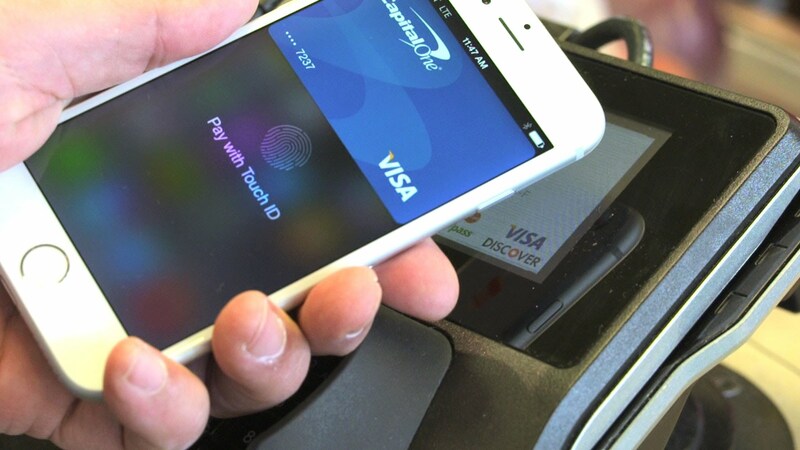 However, until then, the retailers that will support Apple Pay this July in the UK will be: LIDL, Boots UK, Dune, JD Sports, BP, Costa Coffee, KFC UK & Ireland, Liberty, Marks & Spencer (M&S), McDonald’s UK, Nando’s, New Look, Waitrose, Pret A Manger, SPAR, SUBWAY stores, Wagamama, Starbucks and Post Office. Apple Pay will work on TFL! Apple Pay will be supported by TFL (Transport for London), which means that if you are using public transport in the UK, you will be able to pay for it with your iPhone 6, iPhone 6 Plus or Apple watch. We’re pretty sure that everyone who is using TFL will enjoy paying for this service with Apple Pay.